Martinez to pitch game 2 in New York. Now the stage is completely set. 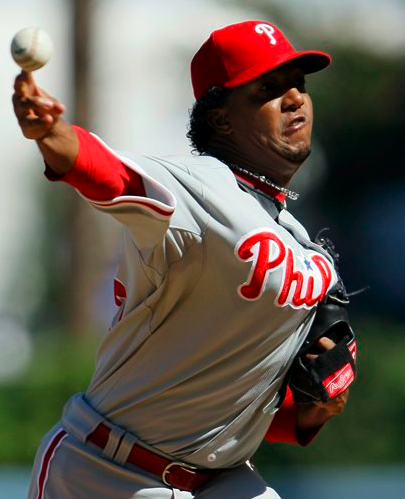 With Cliff Lee a sure go in game 1, the Phillies have announced today that they will throw 3 time Cy Young award winner, Pedro Martinez in game 2. It was a toss up between him and Hamels who has an ERA just below 7 in the postseason. Martinez, a former Red Sox, is no stranger to the postseason. In 12 postseason starts, Pedro has a 3.13 ERA. All of those starts came with the Red Sox, except for one. That start came in the championship series against the Dodgers, when Martinez went 7.0 innings giving up just 2 hits and no runs. Pedro last faced the Yankees last year as a Met. The Yanks knocked him for 6 runs in 5.2 innings. 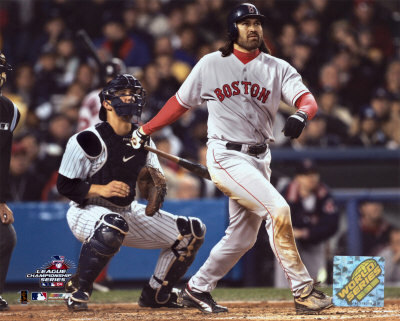 He last faced the Yankees as a Red Sox in that disaster ALCS in 2004. He pitched the clinching game that sealed up a 4 game comeback and a trip to the world series in a 10-3 win. 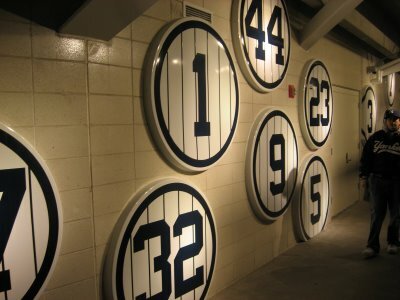 Most H vs Pedro: Derek Jeter (22) Most hits for any hitter against Martinez. Both to begin suspensions Wednesday for late inning brawl. 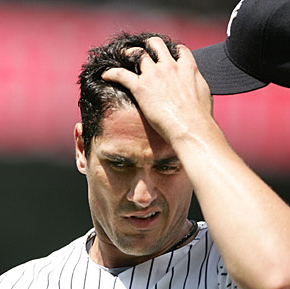 Jorge Posada and Jesse Carlson were both hit with three game suspensions Wednesday for a brawl in Tuesday nights game. Both players were also hit with a fine of a disclosed amount. Shelly Duncan was also suspended for three games and Rod Barajas was fined $1,000. The incident started in the top of the eighth inning when Mark Melancon hit Aaron Hill with a pitch straight in the back. Obviously it wasn’t intentional. He had no reason to throw at Hill. Jim Joyce called the incident unintentional as well. In the next inning, Jesse Carlson threw a pitch right behind Posada. Jorge was not happy and took a few steps toward the mound mouthing “you don’t want to do that.” Posada ended up walking and scoring. As he ran through the plate, he elbowed Carlson. Carlson, understandably, was unhappy and started a fight with Posada. Both benches cleared and the fight began. Heres the problem I have. MLB got this all wrong. Carlson was obviously just a messenger, Gaston was the one who told him to do it. Thats how these things happen. Carlson wouldn’t want to throw at a batter, he wants to pitch! Gaston is the one who should be fined, not Carlson. 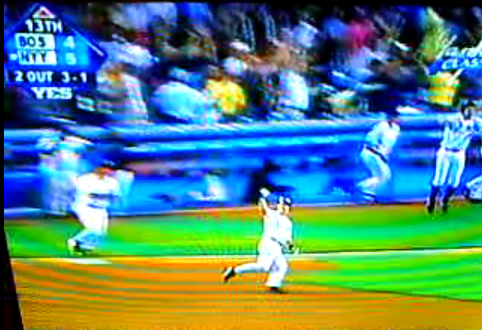 Posada deserves it because he essentially started it by elbowing Carlson. I’m disgusted with all the fighting in baseball. People always say its “part of the game.” Then why do people get thrown out for doing it?! It’s not part of the game and needs to stop. Suspensions and $1,000 fines are nothing for players making millions of dollars. It’s time or MLB to crack down on this. Give Gaston a $50,000 fine and I bet you he won’t do it again. Plus, every player who leaves the bench should be fined. There’s no reason anyone needs to be hurt. Every player leaves the bench to “defend their players” whatever that means. When players leave the bench, it just makes everything more emotional. Stop the fighting, and lets play some baseball! Gaudin’s night is short, yanks bats back him up. Mitre couldn’t go tonight because of a sore forearm after getting hit with a line drive in his last start. That start, not to mention, was his best as a Yankee, and probably the best of his career. So, to take his place, Gaudin made the start. He was good to begin with, but seemed to get a little tired and lost the strike zone. He ended the night going 3.2 innings, giving up three runs on four hits and three walks. Those walks really haunted him. Romero on the other side, gave up four runs in the first inning. Two were on errors. He got very strong for a few innings, then fell apart again. He ended going 4.1 innings giving up seven runs on six hits and seven strikeouts. Only five of those runs were earned. Aceves, Robertson, Bruney and Marte did another great job. They pitched a combined 5.1 innings and gave up just two hits and two runs. Both the hits and the runs were given up by Aceves. The Yankees got to Frasor in the ninth. At that moment, it was a close game. A-Rod hit a line drive right over the left field wall and Posada hit a two run moon shot to right. That blew the game open and made it 10-5. The Wrap-Up: Now seven in a row for the Yankees. They have scored 20 runs in the past two days. Wow. Save some for the playoffs boys! Boston won — who cares — so the Yankees still have a 7.5 game lead in the East. Just a little observation. I don’t know if you heard it, but there was someone at the stadium screaming “Vernon Wells, worse contract in baseball!” Then he was yelling out his stats. Pretty funny. Coming Up Next: Chamberlain (8-4, 4.28) against Halladay (13-8, 3.13). Halladay just hasn’t been the same pitcher since he wasn’t traded. There will probably be some stupid innings limit tomorrow as well. We are in for an interesting game. Bombers Bats Overcome Shaky A.J. Vote for the 2009 Season Awards. Yankees now go 36 games over .500, the most since 2000. Burnett has been pretty horrible lately and is going to need to get on track. Boston beat Tampa, but who cares. If the Yanks keep winning, it wont matter anymore. The Yankees maintain their 6.5 game lead in the east. * Player of the Game: You Vote! Who is the Player of the game?